The Cincinnati Freestore Foodbank and the Cincinnati Public Library each want to expand child feeding programs throughout the city. Their proposals follow a Feeding America study that showed over 25 percent of children in Ohio suffer from hunger or food insecurity. Within Hamilton County, Ohio the child hunger rate is just above 21 percent. The Freestore wants to expand its school year Power Pack program for children. 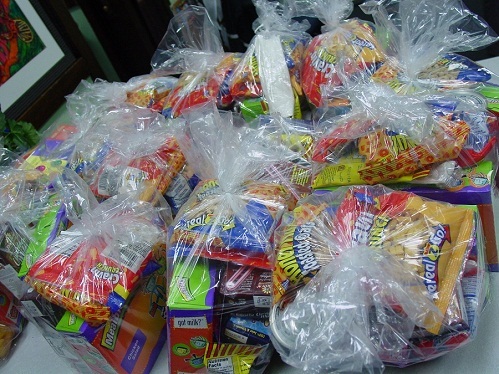 The Power Pack contains 9-12 non-perishable food items like cereal, fruit cups and pasta. It is provided to children so they can have food at their home over weekends when they cannot access the federal school lunch and breakfast program. It’s a way to ensure children do not suffer from hunger. Kathy Greenberg of the Freestore says, “In the 2011-12 academic year, Power Packs were provided to the neediest 10% of our children in poverty in 90 schools. For the upcoming 2012-13 academic year, we will deepen our reach to 15% since the need continues to grow.” The schools are selected based on how much they participate in the federal free and reduced-price lunch program, which is a safety net for America’s kids established in 1946. Interestingly, some of the earliest school feeding in the country was pioneered by a Cincinnati school teacher named Ella Walsh in 1908. This summer the Public Library is working with the Freestore to provide summer feeding as well as a backpack program so children can have a food supply for the weekends. The programs run by the Freestore and the Library will likely become even more significant with the rise in food prices resulting from the drought that has struck much of the country. Families will be in extra need of these food safety nets. 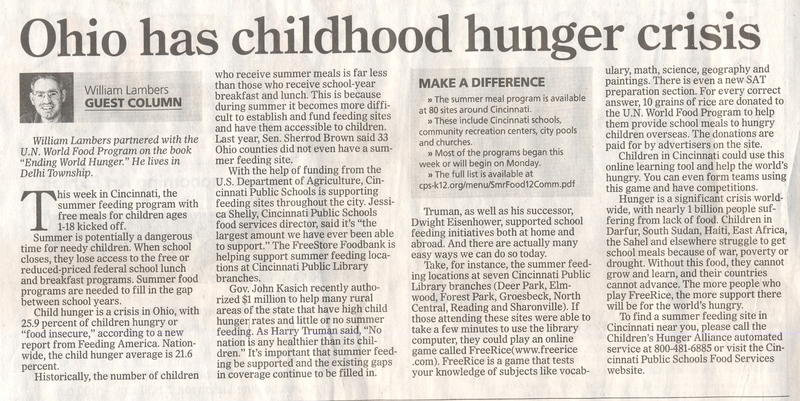 Article first published as Freestore, Public Library Seek to Escalate Fight Against Child Hunger in Cincinnati on Blogcritics.